Specifically designed for UK businesses, for all types of vehicle and fleet sizes including cars, vans, trucks and coaches. We fully understand that all businesses are different, each with its own specific needs when it comes to their drivers refuelling. 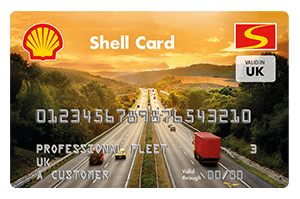 So we offer for our clients a choice of four different Shell fuel cards, one of which will be a perfect fit for both you and your organisation. One of our Shell fuelcard experts would be pleased to help you make your selection, call 0844 870 7914 or contact us here. Looking for a European option? 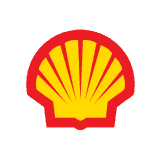 The Shell European fuel card gives you access to over 27,000 sites, it's the largest acceptance network in Europe! The card can also be used for services on the road including road taxes and tolls and so much more. Click here to find out more. No more anonymous call centres, all our valued clients have a named point of contact who solely manages their account. All refuelling - diesel & petrol - on one weekly invoice. Automatic direct debit payment. Easy VAT reclaim. No need for receipt collection and processing. No forms to complete. No credit card statements to reconcile. Pull in at any Shell sign - 1,000+ UK sites. Fill up with diesel or petrol. Present the euroShell card. Drive on.